The Official Blog of The Yoga Institute Santacruz East Mumbai. From times immemorial India has been known as the land of the mysterious and magical, a land of Rsis, Yogis and ascetics. The Vedic Rsis are the progenitors of the Indian spiritual ethos, of Indian culture and philosophy. From the magico-mysterious domains of the Atharva Veda, mantras, rituals, mystic practices were forged into Tantra. The primal Being who propounded Tantra is considered to be Shiva – the archetype of the Yogis. There is a story of Shiva initiating his spouse in the secrets of Tantra, in a boat on a lake, so that none could hear the secret doctrine. Matsyendranath, transforming himself into a fish heard the secret doctrine, and it is said that Shiva was pleased with his enthusiasm, and for his earnestness, Matsyendranath learnt Tantra from the very lips of Shiva, albeit in the form of a fish! Tantra became a pan-Indian vogue from the 6th Century of our era. 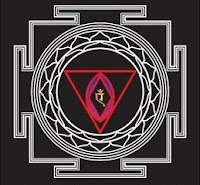 The teaching and practice of Tantra remained a secret, to be learnt directly from the teacher. Thus it became a secret and esoteric doctrine. Generally it was not accessible to the layman and to the untrained. 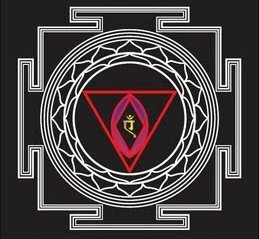 The philosophy of Tantra was an amalgam of the knowledge of Samkhya-yoga and of Vedanta. The bi-polar view of Reality had two aspects, Shiva – Pure Consciousness and Shakti – the female creative Divine principle. The Tantric sadhana consists in unifying these two principles into a unifying whole. A variety of rituals and Yogic practices are used for this purpose, most of which can be learnt only from a competent Guru. Published in the Aug 2010 edition of Yoga & Total Health Magazine. The Yoga Institute, Santacruz East Mumbai-55 Tel 91-22-26122185 info@theyogainstitute.org. Theme images by konradlew. Powered by Blogger.